How much is DJ Whoo Kid Worth? DJ Whoo Kid net worth: DJ Whoo Kid is an American hip hop DJ who has a net worth of $300 thousand. 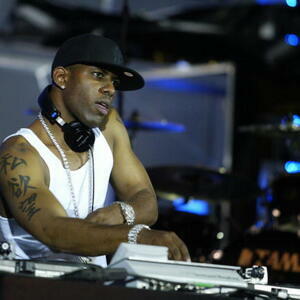 DJ Whoo Kid was born in Brooklyn, New York in October 1972. He is signed to G-Unit Records and the subsidiary label Shady Ville Entertainment. DJ Whoo Kid hosts the Sirius/XM Radio show Hollywood Saturdays. In 2009 Whoo Kid launched the video website RadioPlanet.tv. DJ Whoo Kid has hosted mixtapes for artists such as Raekwon, 50 Cent, Young Buck, Lloyd Banks, Tech N9ne, Tony Yayo, Tinie Tempah, Spider Loc, 40 Glocc, G-Unit, Mobb Deep, Obie Trice, Lil' Kim, Snoop Dogg, Busta Rhymes, 2Pac & Cookin' Soul, J. Cole, Juice J & Project Pat, Juvenile, Tupac Shakur, Michael Jackson, The Notorious B.I.G. & Cookin' Soul, and Eminem. DJ Whoo Kid was featured in the film Morning Glory.